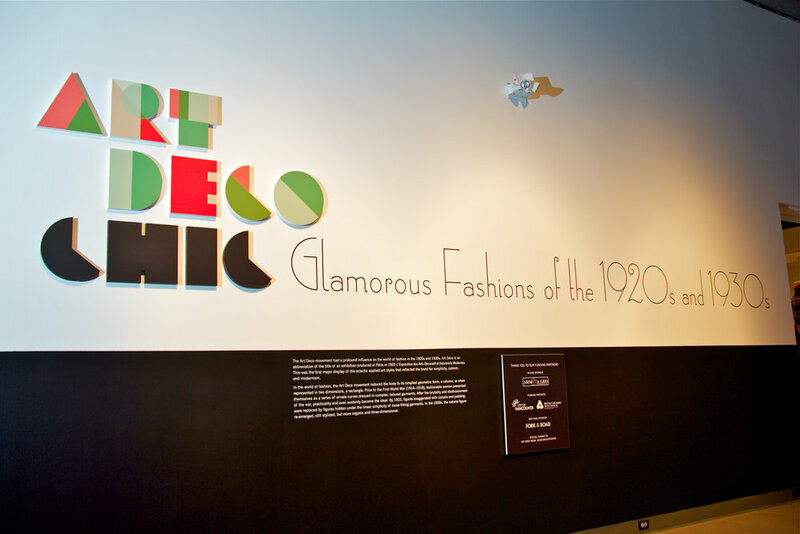 The design style known as art deco began in Paris in the 1920s and quickly gained worldwide popularity. 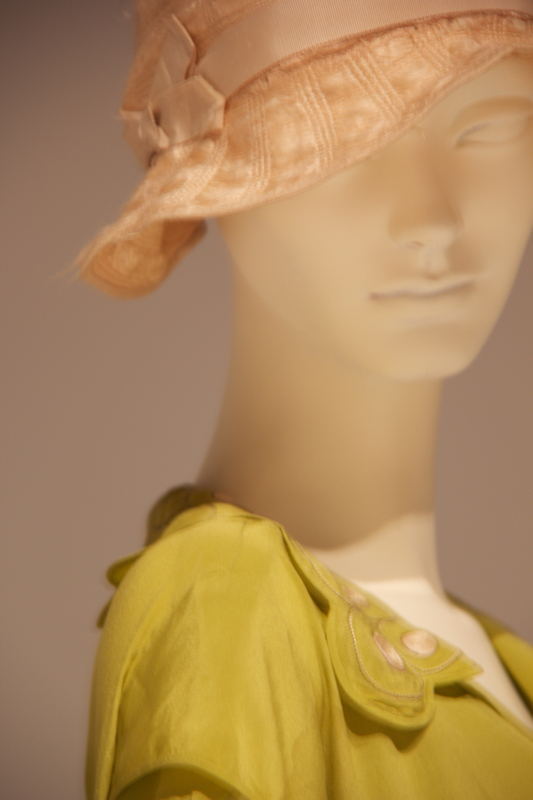 In Art Deco Chic visitors to the MOV can take in 66 gorgeous garments from the era. Art Deco was a distinct departure from previous design styles, drawing inspiration from geometric shapes to evoke elegance and modernity. 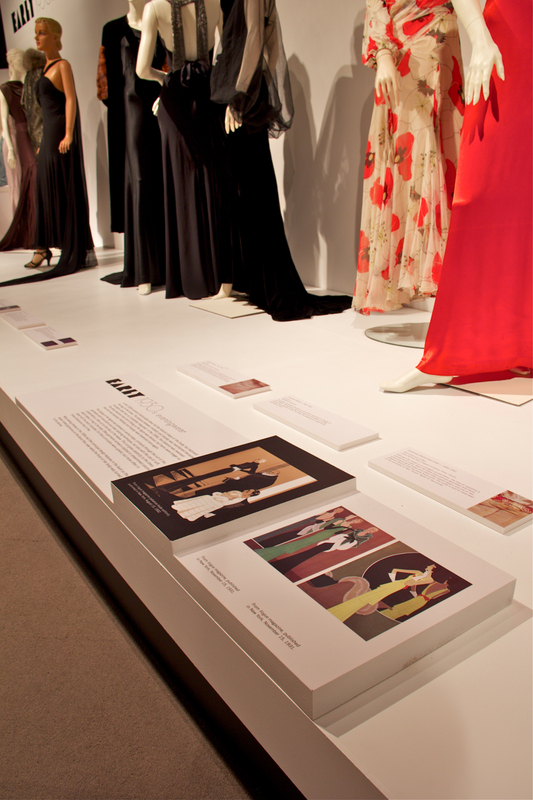 It was also influenced by an increased ability to travel world wide – bringing inspiration not only from modernism, but from faraway places such as Russia, Egypt, and Mexico. 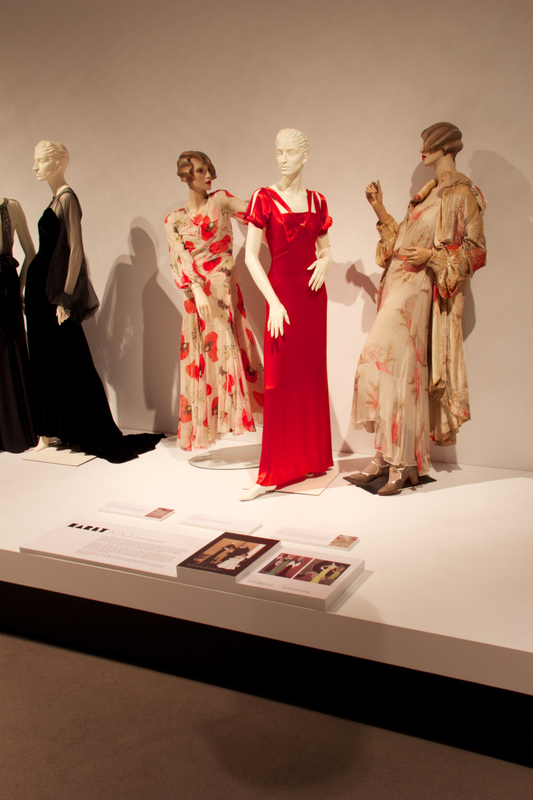 Notable Vancouver items on display include a black beaded gown worn to the opening of the Commodore Cabaret in 1929 and a red and gold lamé evening dress made from fabric depicting the battles of the Trojan War. 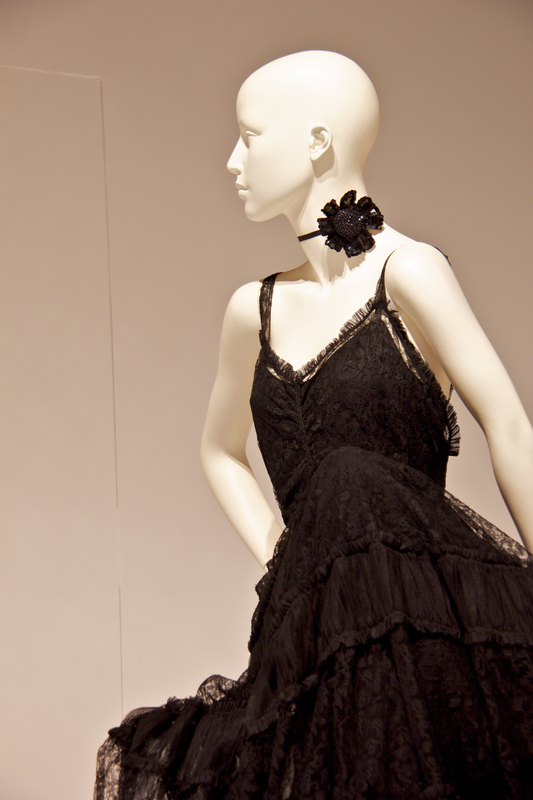 Many items on show are exquisite designer dresses with labels such as Chanel, Lanvin, Vionnet, Patou, and Schiaparelli. 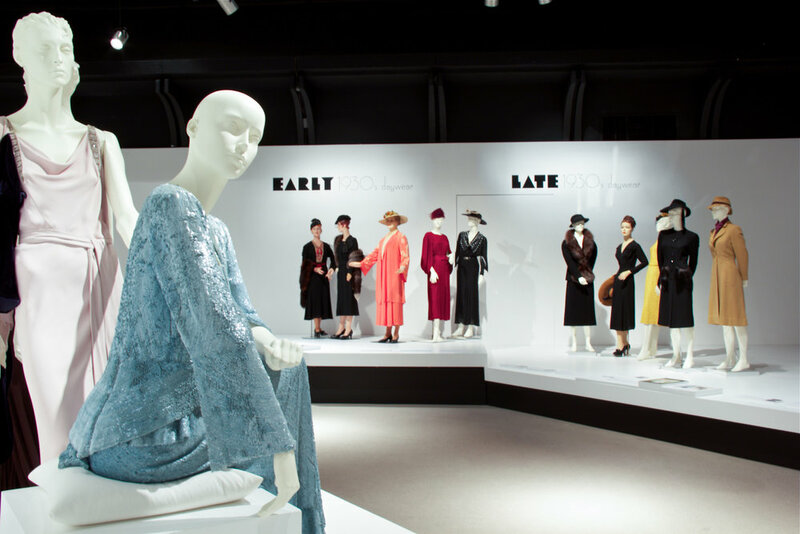 To contrast these high fashion items is a piece from the MOV’s collection – a modest, yet stylish, navy polka dot dress made by the Aurora Dress Company of Vancouver around 1927. 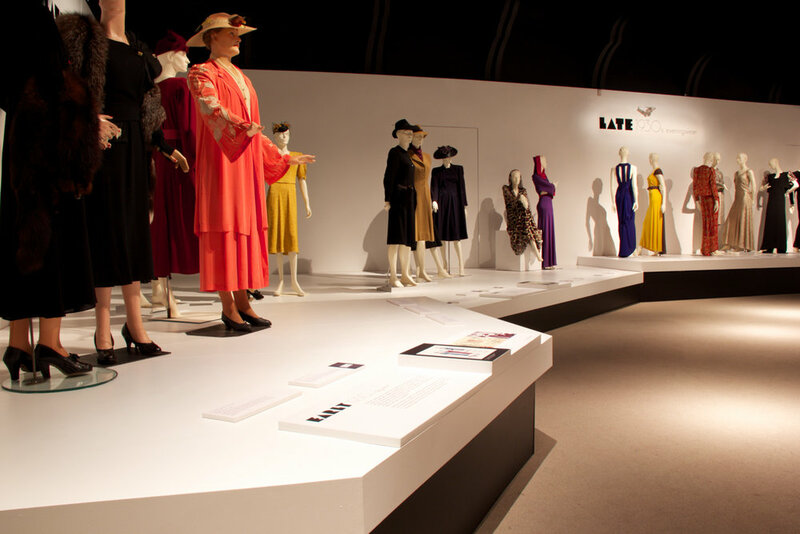 The garments and accessories on display come from the private collections of Ivan Sayers and Claus Jahnke, as well as from the MOV and other’s collections. 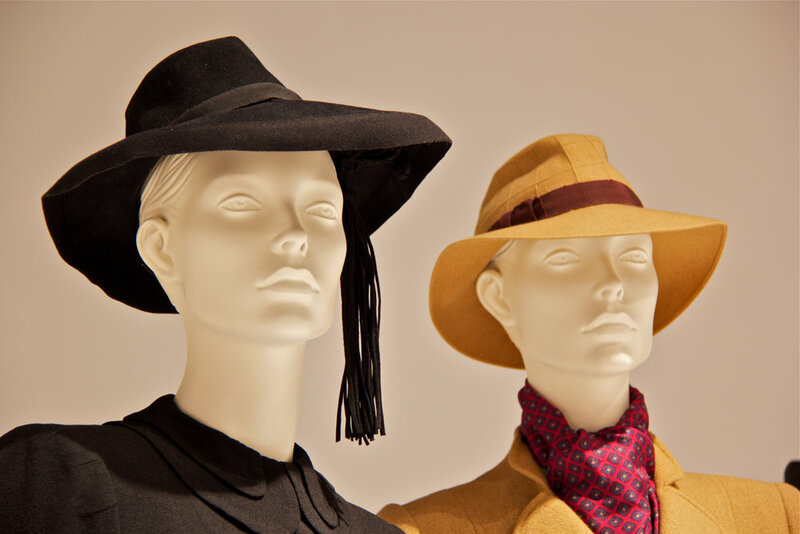 Handbags, hats, shoes, and jewelry will further illustrate the use of geometric shapes to create sleek, sophisticated designs.